Editor: Our prodigy media project, the San Diego Free Press has something to be very proud about; they just brought home nine awards from the San Diego Chapter of the Society of Professional Journalists last week. 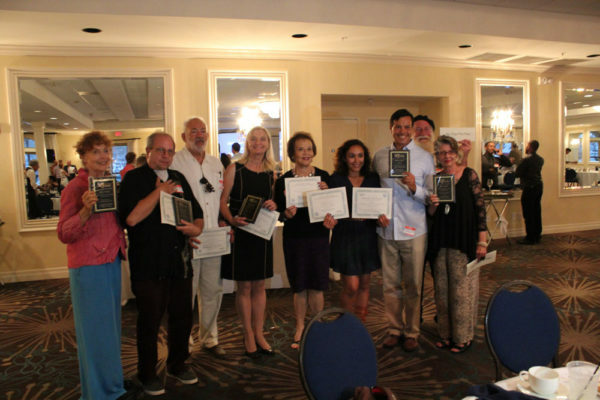 As we enter our fourth year here at the San Diego Free Press, there could be no greater gift than to be the platform that allows eight volunteer writers worthy recognition among a Society of Professional Journalists. We are intensely proud to be working with these incredibly talented and passionate people. The San Diego Free Press itself was also recognized for its role in online journalism. SDFP Editor Note: In March of this year, SDFP editors Barbara Zaragoza, Doug Porter, Anna Daniels and Rich Kacmar spent a long afternoon discussing entries for this year’s SPJ awards. We submitted 35 entries from 2015 by 22 of our contributors. We believe that each and every one of those contributors provided powerful, honest commentary on issues that are important to our readers. The SPJ judges selected 8 of those contributors for awards. We would like to recognize those other contributors for whom we also submitted entries: Ernie McCray, John Lawrence, Jeeni Crscenzo, Brent Beltrán, Jay Powell, Annie Lane, Jim Miller, Frank Gormlie, John P. Anderson, Nat Krieger, Vanessa Ceceña and Mukul Khurana. We appreciate their outstanding submissions and commitment to the San Diego Free Press. Many well deserved bravos, best political reporting around, best group of minds and hearts, and eyes and ears, and pens, to keep San Diegans informed. Thank you. Congratulations and thank you = well deserved! Wow! Lori Saldana! Enough said! Yeah San Diego Free Press! and OB Rag! We depend on you to let us know what’s really going on. Please press on!